There are 62 cat videos tagged with dog. 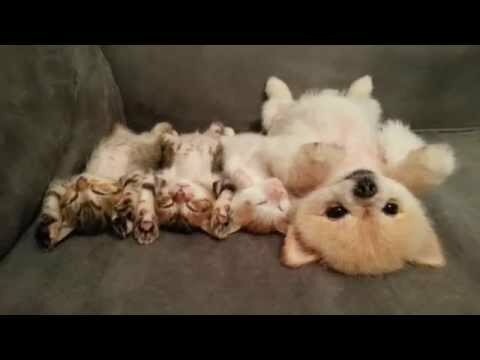 A cute little dog just wants to cuddle with its cat friend but the cat isn't having it. 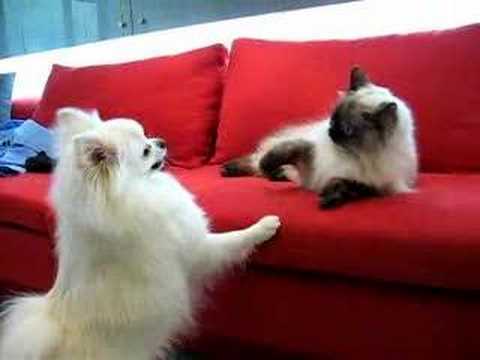 The cat tries to push the dog away and the poor dog doesn't have a clue, it just thinks it's getting a massage! Good thing the kitty is wearing Soft Paws otherwise the dog might have gotten some claws in its back. 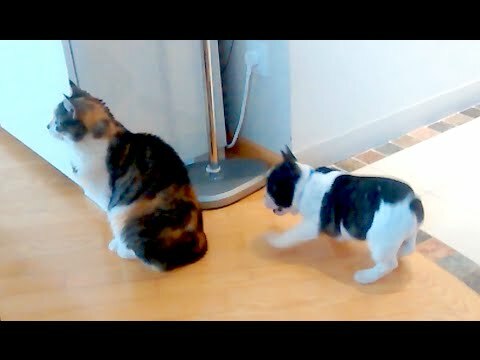 A mom cat has a friend who happens to be a dog. 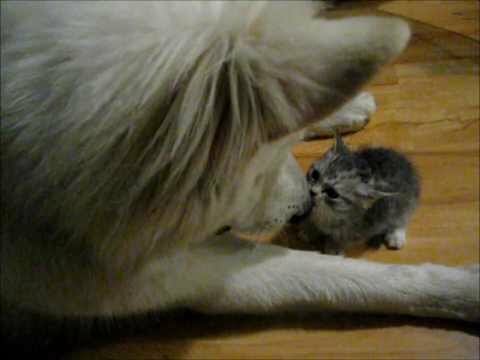 Most cats might be worried about taking their kittens to play with a dog, but this one isn't! 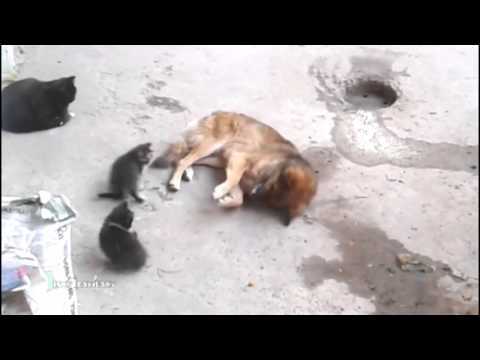 The friendly dog is very gentle with the kittens but has no problem rough housing with the mom. This is definitely a love/hate video. We love that the cat was amazing and fast enough to outrun the dogs chasing them. We hate that the human who let his dogs out did nothing to try to stop the dogs. A tiny toy poodle tries to play with his much bigger cat friend, Rocco. He is so tiny and cute, he doesn't even look like a real dog! Not sure why the cat's not more excited to be in the presence of such cuteness. 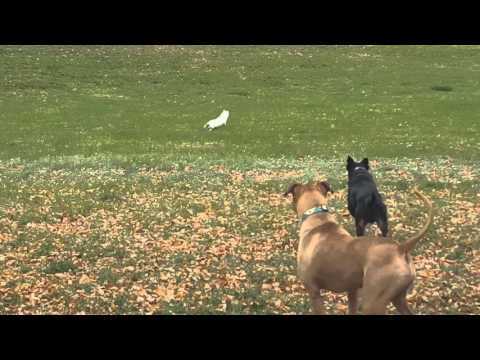 Hammie, a Frenchie, and Cootie duke it out.